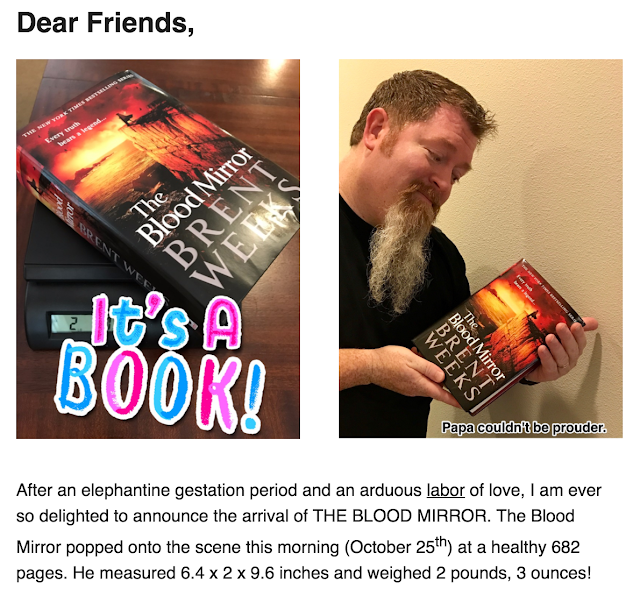 On October 27, 2016, I was in the presence of the great, fantastic Brent Weeks, author of the Night Angel trilogy and the Lightbringer series, for the book tour for the next installment of the Lightbringer series, THE BLOOD MIRROR! Not only was I at the event, I was also a Blackguard Captain which meant I got some special perks and one on one time with Brent to ask all my burning questions (like, WHY ARE YOU SO AWESOME? and HOW IS YOUR BEARD SO MAJESTIC?? and the one I actually asked but see that below!). I recap the event below for you guys, plus give you a chance to win a SIGNED copy of THE BLACK PRISM so you can start this FANTASTIC series. 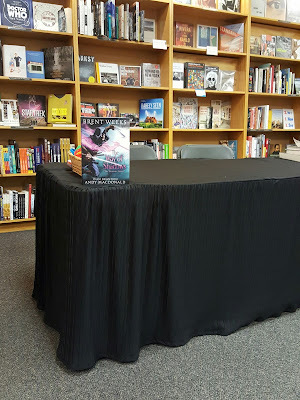 Let me start by saying thank you, thank you, thank you to Brent Weeks, his publicity team, and Schuler Books for making this event SO SPECIAL. I had so much fun and really enjoyed being able to be a part of the magic in a small way! Prior to the event starting, I was able to go with the other Blackguard Captains to meet Brent and discuss things with him. I was given a really cool shirt that says "Blackguard Captain" on the front and has the book tour dates on the back and I'm going to WEAR IT FOREVER. He and his wife explained how the event would go and we divided up the tasks (I was the newsletter sign up girl). We were given cookies and pop as well and then got to ask questions about his books. 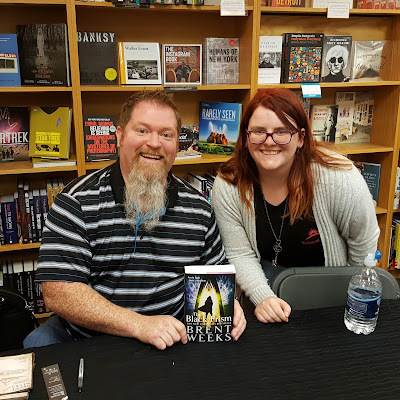 Here I asked if he would be open to continuing the Lightbringer series in the same way that he will be continuing the Night Angel series and he said it was always a possibility. 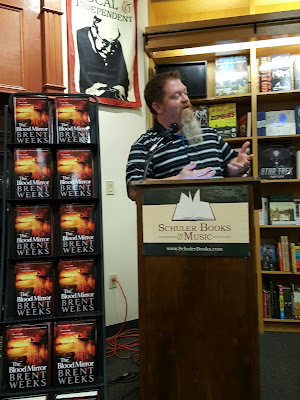 The event started with Brent reading a chapter that could possibly be in the new NIGHT ANGEL book, probably near the beginning, and if you look through #TheBloodMirrorInMI on Twitter, you can see my thoughts on that as I heard certain scenes. The main takeaway of it is that it's going to be awesome. There are some great jokes, witty banter, and the words "left nut of darkness" which made everyone laugh every time it was said. It was a great chapter and got everyone excited about another Night Angel book, so if you haven't started that trilogy, you should get on that. I know there is a bindup of the entire trilogy which costs less than the mass market paperbacks put together. 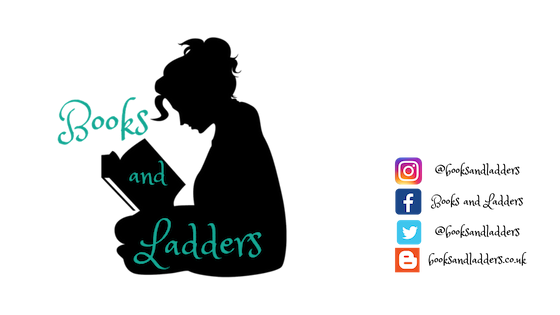 THE WAY OF SHADOWS is the first in that series and, as a trigger warning, the first 50 or so pages have on page child abuse. After Brent finished with his reading, he opened the floor up for Q&A. 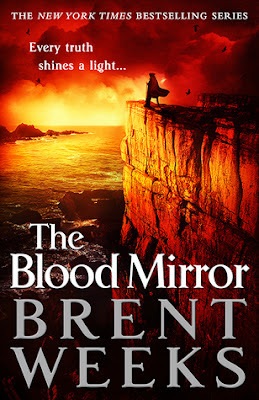 There were a lot of questions, but the majority of them were about writing craft, which is pretty interesting considering Brent writes (good) epic fantasy novels, which are difficult to get right. The first question was about if Brent was a plotter or a pantser. He said that he plots out a lot of his ideas, especially the main ones for both plot and characters, and then takes a drive up the mountain so to speak and let's his characters dictate how he gets to that next point. He let's different characters go where they need to so long as he believes that they will end up where he needs them to. Brent said he always knows where the story will go, he just has to get there. An audience member asked if it was difficult to write series, to which Brent went into details about how "Series get harder as you go along." He talked about how some things he has written in previous books have screwed him over for ideas he has in the present. Things that are seemingly nothing at the time he writes them end up having so much more meaning in the future so he has his assistant ensure that nothing is incorrect in the new novels. 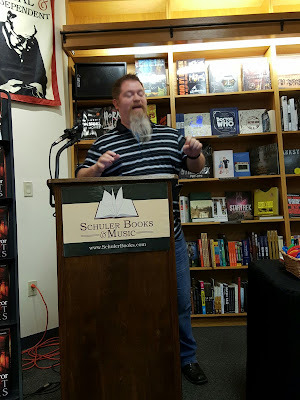 He was asked where he got the idea for the Lightbringer novel for the magic to focus on light and he deadpanned and said "my genius" which caused the crowd to laugh uproariously. He went on to explain how he has always been interested in light but it wasn't until he started figuring out the magic system of colours, the weight of the colours, and how they worked on a physical level, he got into the metaphysical way that the colours worked. For those of you who don't know because you haven't read the books, each person can wield one or more different colour and depending on what colour they wield, it affects their personality. It's super cool, one of the best magic systems I've ever read. Brent stated that he doesn't feel the need to "protect" characters or kill them off. He said he wasn't GRRM and needing to rack up a large body count, but that he didn't try to stop characters from being killed. Instead, he talked about how death wasn't necessarily the worst thing that could happen to a character, giving the example that a character could be good looking and well liked and he could change it so that wasn't the case. Brent said he isn't afraid to kill off characters but that didn't mean he would do it without reason. Someone asked the best book he read lately and he said THE FACEFAKER'S GAME by Chandler J. Birch. Brent blurbed the book and really enjoyed it, saying that Birch's debut is going to knock off the socks of all epic fantasy readers. 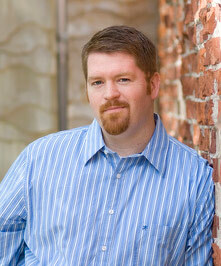 He said that he can see influence of both Scott Lynch and himself in Birch's writing, which is a good thing. After the Q&A session, I got all my books signed and then had the task of getting people to sign up for Brent's newsletter, which is email based. I was SUPER successful and got everyone to sign up except for the people who were already enrolled. Brent's email newsletters don't come very often, but they are always hilarious when they do! You can see a snippet example below of the latest email that was sent, or just sign up here! 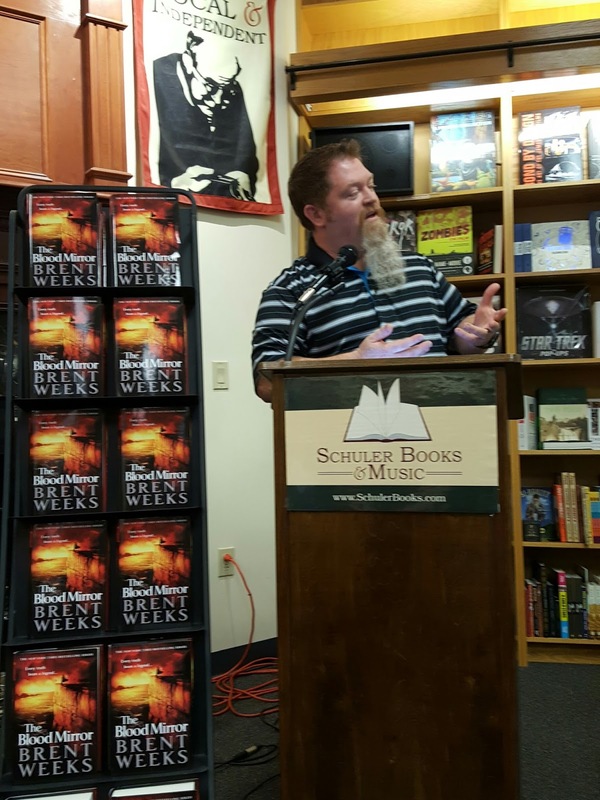 Learn More About Brent's Books! The penultimate book in the Lightbringer series from New York Times bestseller Brent Weeks.